Florida awards alimony in certain cases. However, the type of alimony awarded, if at all, depends on the unique circumstances surrounding the divorce and often the discretion of the judge. Alimony is significantly based on need of the lesser earning spouse and the ability to pay for the higher earning spouse, along with various other factors such as the length of marriage, physical ability of the spouses, contribution to the marriage, lifestyle during the marriage, etc. Both potential payors and recipients of alimony need to be aware of what types of alimony are available in Florida and how to get help with this specific legal need. When awarding alimony, courts may award temporary alimony. Designed to be short in duration, temporary alimony simply helps provide for the lesser earning spouse during the divorce while they transition to an independent lifestyle. Temporary alimony ends as soon as the divorce is finalized. However, some lesser-earning spouses may need more time to become financially independent. In these cases, a judge may award bridge-the-gap alimony for a short period of time following the divorce in order for the lesser earning spouse to gain some financial independence and decrease the wage gap between the other spouse. Occasionally, a spouse who earned less or was unemployed during the marriage may not be able to find suitable employment after the divorce without going back to school or receiving some type of additional training or certification. In these cases, rehabilitative alimony may be ordered while the spouse receives the education or training they need to begin living independently. Florida allows for durational alimony in certain circumstances. 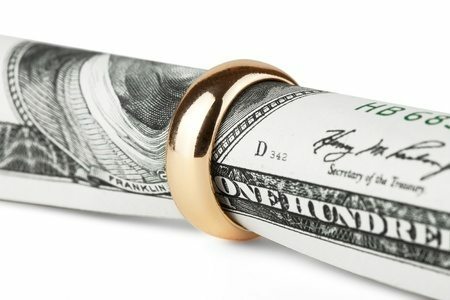 If a judge deems that other types of alimony are not sufficient to meet a spouse’s unique needs, this type of alimony may be awarded for a set time. However, it cannot exceed the total length of the marriage. In some cases, a judge may decide that a spouse’s financial need cannot be remedied by any other type of alimony and is expected to continue for a significant length of time, if not for the rest of the spouse’s life. These cases are for long term marriages and it must be clearly stated why permanent alimony is indicated. For example, a disabled spouse who cannot work may be awarded permanent alimony if it is determined that their disability is expected to last and they cannot be expected to support themselves adequately at any point in the future, or a Wife who never worked during the marriage and lived a high-end lifestyle may be awarded permanent alimony. If you have questions about the different types of alimony in Florida and which may be most applicable in your case — whether you are the potential payor or the recipient — it’s crucial that you reach out to an experienced Florida divorce attorney. Contact the Law Office of Kevyn Noonan Hayes, PA at (239) 591-6248.